GJS Brickworks - Specialists in all Brickwork, paving, Groundworks and general building. Based in Mitcham. 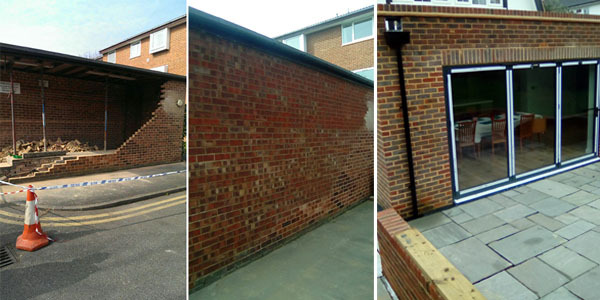 GJS Brickwork is owned by Gerald Speight and we are based in Mitcham, Surrey (South London)..
We have been specialising in all aspects of Brickwork for over 30 years, during which time we have built a solid reputation for excellent workmanship combined with a curteous and professional attitude. 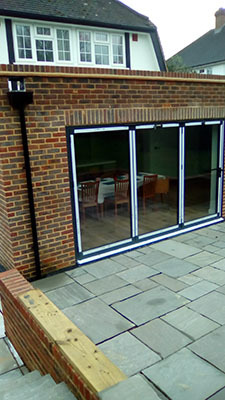 With years of experience in dealing with all aspects of brickwork we can help you build that new extension, garden wall or patio that you keep putting off!. We also undertake groundworks, drainage, paving, driveways and all general building works. Why not give us a call on 0208 408509 or 07796 615320 so we can supply you with a free no obligation quotation for the work you need? You can rest assured that we are fully insured and hold full public liability cover so that along with top quality advice and workmanshjip you know you and your property are in safe hands. We aim to achieve maximum customer satisfaction and are a Proud Member of Checkatrade, where reputation matters. We are currently locating to new office premises. Details and map will be published once move complete. We cover the whole of London! We are proud of the quality of our work, please click the image above or the button below to see some photographs of works in progress and completed jobs. Our website is very new but we will be adding more photos to this section soon. 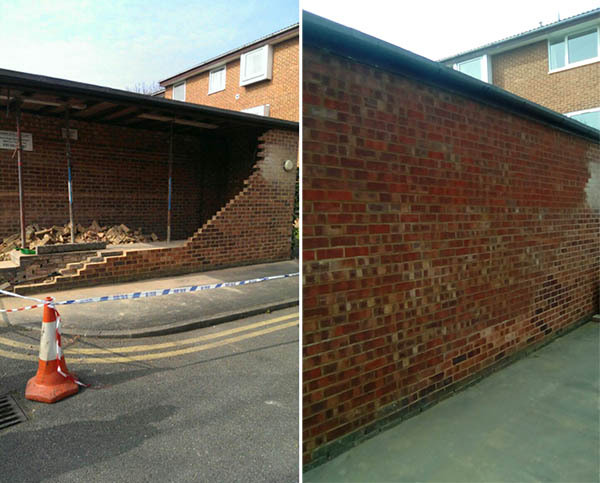 Emergency Wall Collapse: This needed fixing promptly and safely, which we did. A full extension complete with wall and exterior paving. 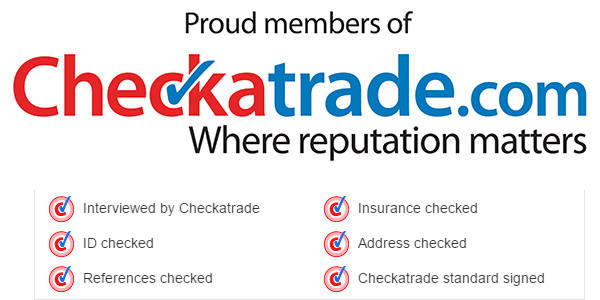 Checkatrade runs strict background checks on tradespeople before they can become members. The background checks and public feedback ensure that only reliable and trusted tradespeople get work through Checkatrade. Copyright © GJS Brickwork - Mitcham, Surrey. All rights reserved.